By LUDWIG VON KOOPA - King Dad finally shows his brilliant, all-black self in Paper Mario: Color Splash. The Great Black Hope! There is so much material to cover here, so before I get into talking about Black Bowser, we need to clear some other things up. First, Nintendo finally released Episode 4 of the Rescue V series. We already covered most of what's interesting for that when I wrote about the Nintendo Minute covering the Yellow Coliseum. That had a splattering of content, too. The most important part is that Rescue Yellow would also vote NOT GUILTY in the George Zimmerman trial. And, because a certain someone in the KoopaTV comments was wondering about this, it's also confirmed that the Yellow Coliseum has multiple NPCs the plumber can talk to that are NOT Toads or Huey. These range from the bone-obsessed Battle Royal clerk to other fighters or fighter-wannabes. These dudes all seem to have good dialogue and as much personality as you can get from one-line people. As you may expect from a game with as many twists as Paper Mario: Color Splash (it turns out it's not all flat, but with crinkles! ), there are non-Bowser things to be surprised with. Immediately before his amazing appearance, there seems to be a Super Paper Mario-esque dimension shift in a Super Mario Bros. 3-esque level! It's... a slab of meat? Well, I have faith in him/her/it being a fantastic original character, unlike Koops. I mean, him/her/it is committing assault and battery on Mario! Him/her/it and I share at least some common values! 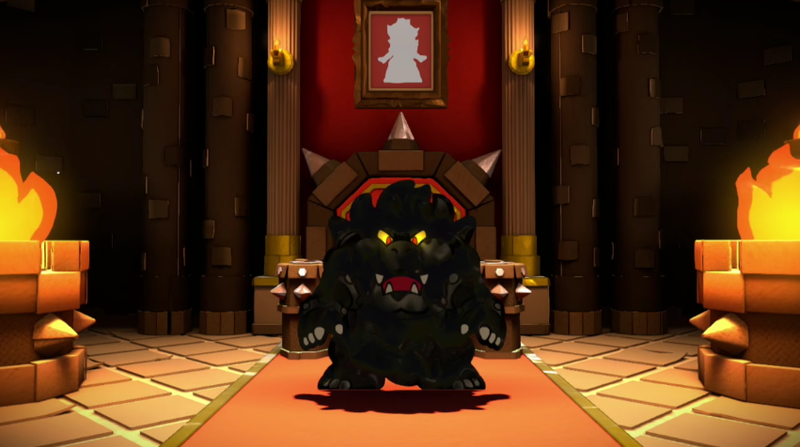 King Dad will be referred to as “Black Bowser” in this incarnation. We're finally going to do as Black Ninja Koopa asked of us, and consider this an article that's part of KoopaTV BLK™. See? He speaks. And calls the plumber a chump. And kidnaps Princess Peach in his... um... rough-looking Doomship. I would like to point something out that one of my staffers (read: Rawk) missed. King Dad reveals himself and kidnaps Princess Peach in the presence of the red Big Paint Star at the centre of Prism Island, which, as we saw at E3, was the Big Paint Star that Morton Koopa Jr. guarded. In other words, only AFTER what is presumably Chapter 1 did Peach get kidnapped. This is opposed to the Prologue. That means there is story development throughout the game, not just the beginning and the end. 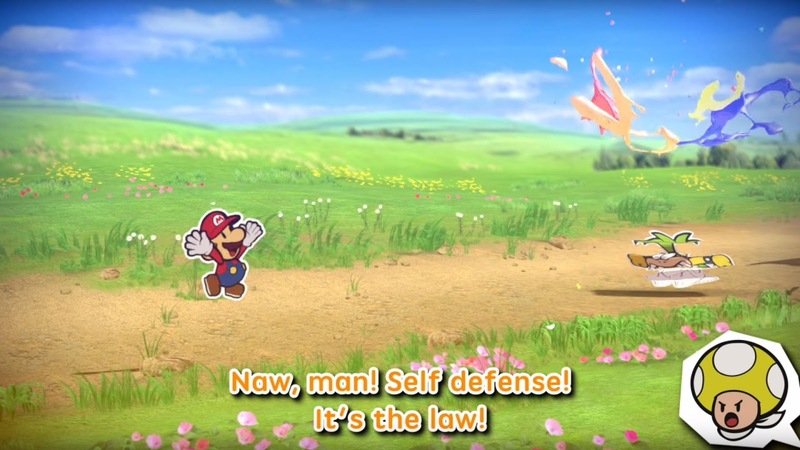 This is a very stark contrast to Paper Mario: Sticker Star, where Bowser appeared at the beginning, didn't say a word, nabbed Peach, and disappeared for the entire game until the final battle, where he still didn't say anything. King Dad's black paint fountain is loading up this Magnum Bill. I've heard that black paint is every colour put together, because paint is subtractive. This makes it potent. Black Bowser is campaigning for real hope and change. For real gift-giving. 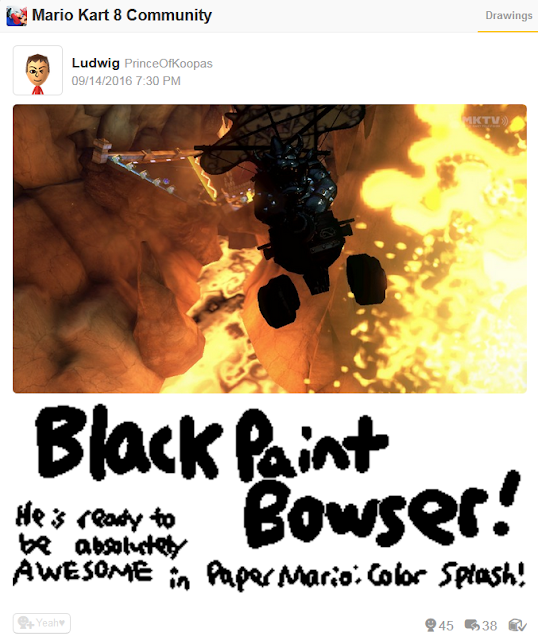 Give us the black paint, oh Lord Bowser! For a darker, dimmer future! May we make every place in the universe like Alberta, Koopa Kingdom! “Black Paint Bowser! He's ready to be absolutely AWESOME in Paper Mario: Color Splash! KoopaTV hasn't written an article that wasn't based off of PR from a Nintendo video ever since they endorsed Donald Trump for president. Let the staff know if this is a problem or not by making remarks in the comments section below and/or KoopaTV's Feedback Forms! More importantly, KoopaTV wants to know what you think of this new information about Paper Mario: Color Splash! You should also check out that full Miiverse post, which has even more images of Black Bowser in Mario Kart 8, and follow Ludwig on Miiverse, too, at NNID PrinceOfKoopas. KoopaTV has actually had hope for Paper Mario: Color Splash for a long time now, being the only website on the Internet to defend the game after E3. It appears that the black paint affects each Koopaling differently. This explains Morton's strange behaviour. Episode 5 of Rescue V is here! Featuring Lemmy Koopa. Read KoopaTV's entire post-release review of Paper Mario: Color Splash here, which discusses how the story turned out. 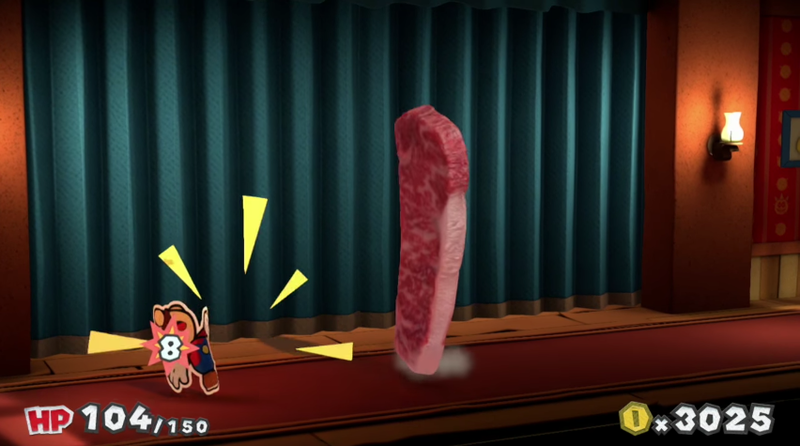 Steak donated him/her/itself to be consumed as food for KoopaTV's readers. *thumbs up* I'm glad to see the NPC dialogue. I'm still not convinced Color Splash will be good, but I want to believe. Sheesh. We write articles on this game every week and it gets better and better. Still not convinced? King Dad is in control of the project. He has high standards! 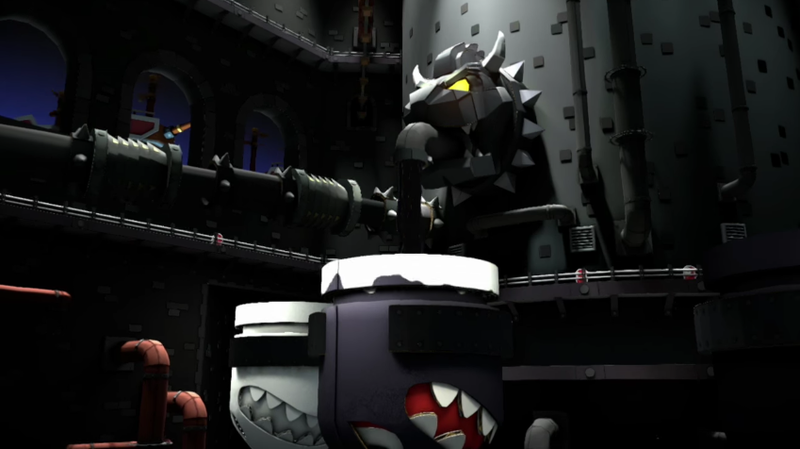 Bowser is now twice as fearsome than before. Even the Rescue V will not be able to stop his dark kingdom from advancing. That's a little strange to literally do.